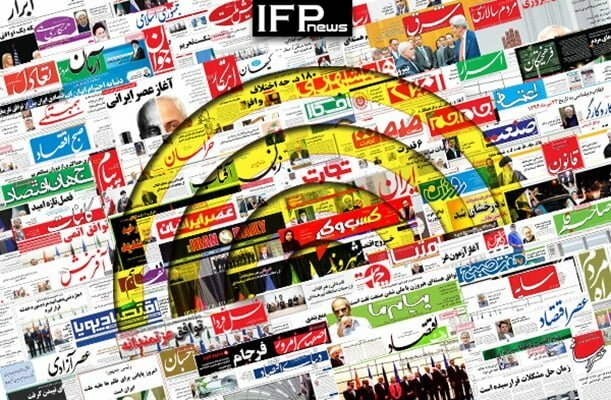 IFP has taken a look at the front pages of Iranian newspapers on Monday, May 14, and picked headlines from 20 of them. IFP has simply translated the headlines and does not vouch for their accuracy. Several papers today covered the remarks made by the Leader of Iran’s Islamic Revolution Ayatollah Seyyed Ali Khamenei about the need for Asian states to promote their mutual cooperation. The Leader made the comments in a meeting with Sri Lankan president in Tehran. The top story, however, was the controversial relocation of the US embassy from Tel Aviv to Jerusalem al-Quds, and the global condemnation of the move. Iranian Foreign Minister Mohammad Javad Zarif’s intensive talks with other parties to the Iran nuclear deal in order to save the 2015 agreement after the US withdrawal also received great coverage today. In a Statement, Assembly of Experts Had Urged Rouhani to Apologize to Nation over JCPOA! Arab Reactionaries Still Keeping Silent!